Entertainment | how's it going, eh? Get ready to have your day made. I kind of live underneath a rock so maybe it’s not new to a lot of you guys but I almost peed my pants with happiness when I watched this! Click the link below the picture to watch!!! 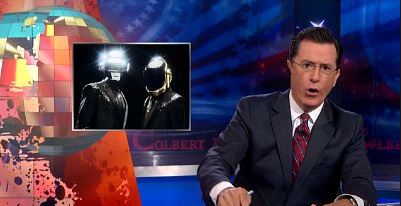 Stephen Colbert is a sensational human being. Enjoy!!! Be patient, because the video takes a while to load – it’s worth it, believe me!!! Did You Watch the Hell on Wheels Season 2 Premiere?? ?